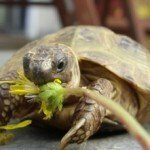 My name is Charlie and I have been caring for tortoises for several years now. I have gained a ton of knowledge since the beginning. I am a big advocate as a owner myself and its my goal to pass this information on to you. It is crucial to know how to properly care for your pet and I’d like to pass that knowledge on to you, free of change. Make sure this pet will fit in with your life because their lifespan is long and ranges from 40- 80 years. They also require daily and weekly maintenance so be certain that you will provide excellent care consistently over time. They live a long time and you might not want to take care of him forever or he could outlive you so have a backup plan to either give to a friend, put him in your will or put him on a pet marketplace and find a good new owner. It is very important where you buy from. 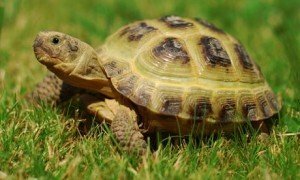 It is best to buy captive bred and have the business your buying from be as specific and niched down as possible to your tortoise. To further explain this, “captive bred” means that the tortoise was born in captivity and not in the wild. This is crucial because when they are born in the wild they can carry many more diseases and they are use to the wild making it hard to adapt to captivity. You also want to make sure that he is native bred, meaning, he was born in your country. When they are transported diseases can spread rapidly. Next, be sure to buy from a seller that is as knowledgeable as possible to your specific pet. A provider that is very specialized in this type of tortoise will have the best chances of picking or breeding the healthiest pet, giving you the most accurate information for care taking and also selling you the most appropriate accessories like food, housing etc. 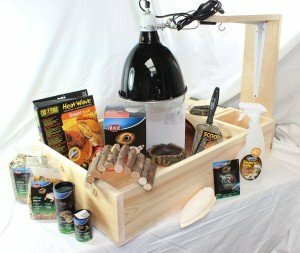 Examples of sellers to buy from are reptile shops, reptile trade shows/expo’s as well as reptile and tortoise breeders. These sellers are very familiar with this pet and are usually experts. Sellers you want to avoid are online, large pet shops and local pet shops. 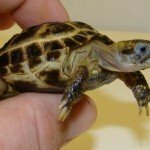 The reason is that you can’t check a tortoises health when you buy online and these general pet stores are not experts on this specific type of pet so they will often not recognize unhealthy ones and recommend the wrong accessories to you. These general pet stores can not be an expert on every pet and often the training is not extensive enough for this pet. 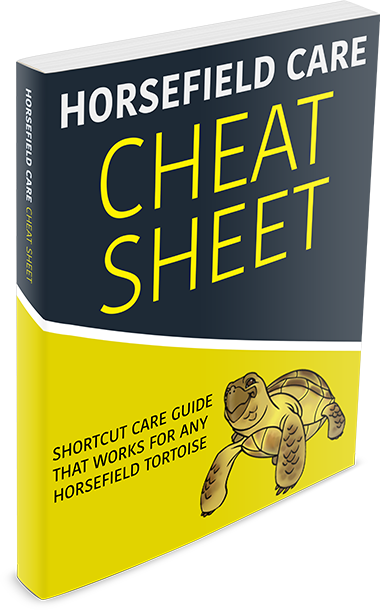 There are certain signs that you must look for when you are selecting your tortoise. Some things to avoid are cloudy eyes, bubbly nose, light/weak and non-responsive. A few things to look for are a clean bum, active/alert, heavy and strong and no signs of shell damage. They are a very outgoing and interactive tortoise, making them a great pet and very fun to play with. Historically this tortoise comes from the Mediterranean and Eurasia. Although now many are captive-hatched in the UK and United States due to popularity and importing in recent years. Their size is on the smaller side for a tortoise, ranging from 15-20 cm or 6-8 inches full grown. The true secret to providing optimal care is to replicate their natural environment of the Mediterranean as closely as possible. This will open the door to the most absolute peak state of health, happiness and energy level of your pet. This makes them an excellent pet and versatile for indoor or outdoor housing. Set up your housing before you get your pet home with you, this will prevent him from being homeless if you don’t get it set up in time! You will need to choose between housing your pet indoors or outdoor. Anyone can house indoors but there are certain qualifications to be able to house outdoors. Outdoors is recommended because it is the most natural. Everything is better outdoors (under the right conditions) including sunlight, space, plants and air. Also, make sure the area is kept dry and well drained from moisture and rain all year. The best short-cut I took with my second one was getting an all-in-one kit. It basically included housing, bedding, heat lamp, temperature gauge, inside furnishing items, cleaning and a few other items. I would recommend this if you want to save a bunch of time and guess work and get up and running way faster. Here is the starter kit I bought. No matter your location outside, you can create a perfect ecosystem and temperature indoors. Just make sure you have a grocery store nearby because they love to eat! There are 10 rules for both indoor and outdoor housing that I like to call the 10 commandments. Follow these 10 rules and you will have the happiest, healthiest and most energetic Horsefield possible. The more space you can provide, the better. With the exception of too much space in that he might get lost or hard to keep track of him. The minimum space outdoors is 1 sq. meter (10.7 sq. ft.) but provide more if you can do so. If you house indoors you will have less room. Providing protection from various dangers can literally be life and death for you pet. For outdoors, be cautious of animals like dogs, coyotes, raccoons, rats etc., excessive rainfall, extreme temperatures and falling objects. In the most dangerous conditions you can surround the entire housing with mesh such as chicken wire. If the conditions are not safe enough bring the housing indoors for either the full year or seasonally depending on your outdoor situation. They are also a very well looked after species and protected by several organizations. A ground of proper is substrate is important and affects their living conditions. The substrate needs to be well drained and dry. The mixture of several sources is needed. The objective is to get as close to their natural environment as possible. Mix a few materials such as hay, wood chips, sand, soil and gravel together. 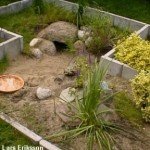 Place rocks around the housing for the tortoise to climb on or use as a hiding spot/visual barrier. A hiding spot/visual barrier reduces stress and climbing helps with exercise. Flat rocks are excellent for serving food on for him. Good substrate and rocks also help keep their claws from growing too long. I have a go-to substate that is a favorite of mine. I use it for the bedding of all my tortoises and keep an extra bag to replace the current to help keep the housing clean. 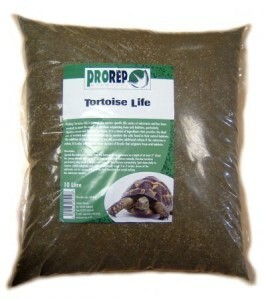 It is called Pro Rep Tortoise Life Substrate and I like to get it in larger quantities so I don’t have to buy it as often. It is safer to buy commercial pre made substrate bedding because you run zero risk of harming your pet from pesticides and bacteria compared to scooping some up from your neighborhood lot or field. When you get it from a lot for field the risks are high that there could be pesticides and harmful matter that can have bad health effects on your pet. You can buy there materials at a pet store or home improvement store. It is best to buy from a store than take from outdoor fields and other places for free. The reason is that fields and other places that you would gather substrate and rocks from can very likely be contaminated with urine or feces of other animals (or humans!) or other contaminants like weed killer and pesticides. It is not worth the risk of a veterinarian bill or your pets death. Out objective here again is to replicate their natural habitat. Same with the substrate, we want to give them grounds to crawl around on and give them a little challenge so they can get exercise and feel at home. Make at least 1 indoor/ 2 outdoor elevation changes by pushing together the dirt or substate to form mounds. Make sure that the mounds are not close enough to the borders to provide an escape route for him or too extreme that he could flip over. Housing environment and diet are the two core fundamental pillars that must be correctly provided in order to property care for your pet. The perfect diet replicates, as closely as possible, what he would encounter in the wild. They are herbivores and browsers that come from several parts around the Mediterranean. They mostly consume leafy greens and plants/shrubs. One the the biggest secrets is to give him the widest variety you possibly can from as many sources as you can. Great food sources are growing the food yourself, community farmers markets, Picking in your local area and grocery stores. Another option that I personally use to add to the variety of food sources is pre-made food in bottled form. The best company to trust (by far) is Komodo for your pet. Avoid meat of any kind, unnatural food and over feeding. Provide a clean water bowl in the housing at all times. Hibernation is a part of life for this pet, hibernating months in the wild but less in captivity. Some owners do not hibernate their tortoise at all. My recommendation is to hibernate your pet 2-4 months during the winter, given that he is healthy enough to do so. It is best to check with a veterinarian to make sure your pet is healthy enough. Death can occur if he is not healthy or hibernation is not executed properly. Several weeks before hibernation, slowly decrease the food supply. This will get all the food out of his system because when there is food remaining in him it will rot during hibernations. Right before hibernation soak him in Luke warm water to get the last bit of urine and feces out. Measure his weight and length and keep a weekly log of this throughout hibernation. If he looses too much weight take him out of hibernation. There are also other signs and reasons why you would have to take him out of hibernation if they occurred. Now you are ready for hibernation. Since you can control the temperature indoors, gradually decrease the temperature leading to hibernation (simultaneously with the food supply). Find a cool, dry and safe spot with the correct temperature for indoor hibernation. You will then construct a specially designed box to place him in during hibernation. Hibernation period is between October and March (or during your winter time). If you have the correct outdoor temperature needed for hibernation then you can hibernate your pet in his outdoor housing. I could not possibly fit everything you must know in order to take correct care of your pet here, that is why I have made the course below that you can sign in to and get instant access. I have broken it down into easy bit-sized action steps. For all the information you need to know to be an expert care taker for your little pet, sign in below to get your free email mini course!